These socks are well made and high quality. They are great for athletes and fit well. They have great treads on the bottom. I love that they ankle high because that’s the length I like. 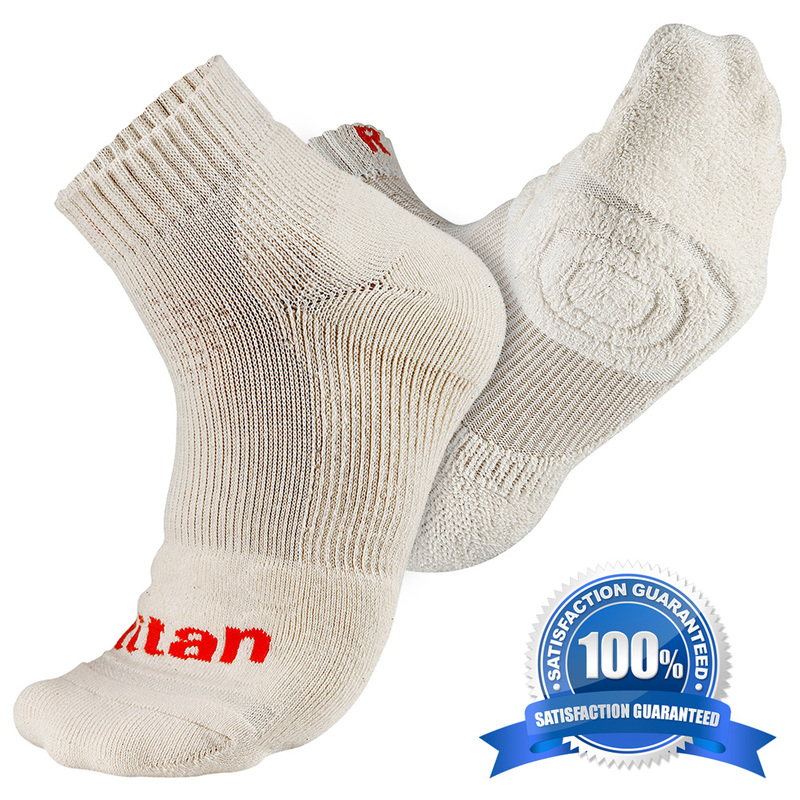 4.8 OUT OF 5 STAR RATING: Happy Ballers Agree That Titan Sports Tech Professional Basketball Socks Are Simply The Best They’ve Ever Worn. EXTRA THICK CUSHIONING: Stop Those Annoying Blisters with Our Cushioning Technology & Reinforced Arch Support to Supplement Your Beloved Basketball Shoes. ULTRA COMFORTABLE: Quick-drying, Lightweight, Breathable and Comfortable Fabric (73% Cotton) Your Basketball Socks Won’t Become Slippery While Playing.